A tale of a first date, reminiscent of the first encounter between Barack and Michelle Obama. This delightful story recounts the special, fun-filled day in 1989 when an attractive associate of a law firm tried to impress a fellow attorney, Michelle Robinson. A date that lasted all day with time spent at the Art Institute and then off to a screening of Do the Right Thing, finally ending the night at the site of their first kiss. 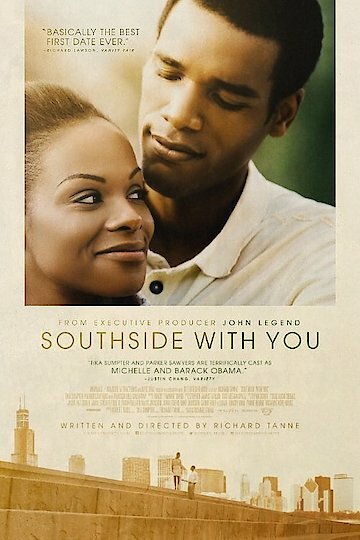 Southside with You is currently available to watch and stream, buy on demand at Amazon, Vudu, Google Play, YouTube VOD online.